Raymond signed a reserve/future contract with the Titans on Monday. Analysis: Raymond ended the regular season on Tennessee's practice squad and will remain with the team heading into the offseason. The 24-year-old is a developmental project and will attempt to stand out as a return man. Raymond was signed to Tennessee's practice squad Monday, Paul Kuharsky of 104.5 The Zone Nashville reports. Analysis: Raymond was let go by the Giants at roster cutdowns and spent a couple days on their practice squad earlier in the season. The 24-year-old also spent 2017 in New York, catching one pass for 12 yards in six games while serving as a kick and punt returner. Raymond seems unlikely to join the Titans active roster unless a wide receiver suffers an injury. Raymond was cut from the Giants' practice squad Thursday, Dan Duggan of The Athletic reports. Analysis: Raymond joined the Giants' practice squad earlier this week after spending the offseason with the team, but he was cut to make room for Corey Coleman. A third-year wideout, Raymond caught one pass in eight games last season and will look to earn a depth role elsewhere in the league. Raymond was signed to the Giants' practice squad Tuesday, Michael Eisen of Giants.com reports. Analysis: Raymond was cut by the Giants on Sept. 1, but was signed back Tuesday after fellow wide receiver Cody Latimer (hamstring) was placed on injured reserve. In 2017 Raymond played six games with the Giants and two games with the Jets, accumulating just one catch for 12 yards. Raymond was let go by the Giants on Saturday, Ryan Dunleavy of NJ.com reports. Analysis: Raymond has been with the Giants since last November when he signed a contract with the team. He best chance of making the final roster was as a return man, but it looks like New York is going to have both Cody Latimer and Hunter Sharp fill that need. Raymond could latch onto another team in need of special teams help. Raymond mustered one catch for 12 yards and negative-one rushing yard in eight games with the Giants and Jets in 2017. Analysis: Raymond primarily served as a kick and punt returner with both teams (14 kick returns for 271 yards and 18 punt returns for 99 yards), and was unable to carve out much of an offensive role with either team. The 23-year-old fumbled five times in 2017 (one lost), and will need to improve his ball security in order to have a chance at a roster spot next season. Raymond was promoted to the Giants' active roster Tuesday, Ralph Vacchiano of SportsNet New York reports. Analysis: The Giants appear to be doing some shuffling around at this point in the season in order to get a closer look at some of the talent that's within the organization. 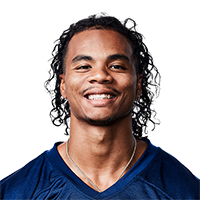 Raymond signed with New York's practice squad for the second time this season two weeks ago and will now get an opportunity to join the team's wide receiver corps. Raymond was re-signed to the Giants' practice squad Wednesday, Paul Schwartz of the New York Post reports. Analysis: Raymond was brought back just a day after being released from the practice squad. It isn't clear what's changed, but he'll now be on call in case another injury strikes the Giants' receiving corps.